On Tuesday, 23 October 2012 the Supreme Court will hear the second Scottish appeal of the term. Unlike the last appeal—about an esoteric aspect of conveyancing—this one is a genuine constitutional case of wider interest. The summary is pretty simple. 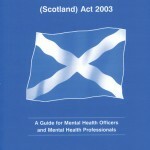 When the Scottish Parliament passed the Mental Health (Care and Treatment) (Scotland) Act 2003 it included a provision that allowed patients compulsorily detained in conditions of excessive security to challenge before the Mental Health Tribunal the level of security under which they were detained (Chapter 3 of Part 17). The statute stated explicitly that patients in high-security, state hospitals could apply to the Tribunal (there is in fact only one such hospital in Scotland at Carstairs in Lanarkshire). Beyond that, the provision left it to the Ministers to make regulations defining “qualifying patient” and “qualifying hospital”: for patients in hospitals other than the State Hospital to apply to the Tribunal, these further regulations would need to be passed. The Ministers have never laid before Parliament regulations defining “qualifying patient” and “qualifying hospital”. That being so, in practice State Hospital patients can apply to the Tribunal but, in the absence of further regulations, those in other hospitals cannot. The appellant to the Supreme Court is a patient in a locked ward who wants to apply to the Tribunal for an order declaring that he is held in conditions of excessive security. He brought a Petition for Judicial Review seeking a declaration that the Ministers failed in their statutory duty to lay before Parliament the necessary regulations. He cannot not know, of course, if regulations are made, whether he would be a “qualifying patient” in a “qualifying hospital”. An Extra Division of the Inner House decided that, interpreting the words of the provision in the statutory context, they did not create a duty on the Ministers to make regulations but were merely permissive: M v The Scottish Ministers  CSIH 19, 2011 SLT 787. Properly construed, the Act showed that Parliament intended to give the Ministers complete flexibility about whether to bring forward regulations and what to include in them. 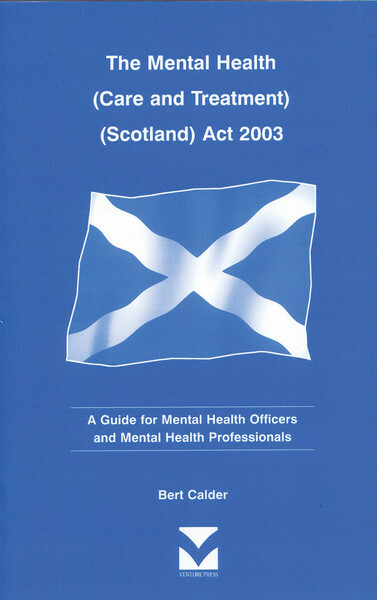 The Court looked at the background to the legislation, namely the Millan Report which was laid before the Scottish Parliament by the Scottish Ministers in 2001. It showed that providing an appeals mechanism for patients detained in the State Hospital was a matter of particular urgency. Parliament had given the Ministers permission to deal with a future situation where patients became entrapped in medium-secure units as they had been in the State Hospital, and a discretion to go further, to deal with other kinds of unit, if it ever became desirable. These are nice succinct statements. If questions 1 and 2 and answered in the affirmative the appellant succeeds. If question 3 is answered in the affirmative the Ministers succeed. The appellant says that the will of Parliament is being frustrated. He accepts that if regulations are laid his case might not fall within them but claims to have standing under the new approach to Scottish public law title and interest set out in AXA General Insurance Ltd v HM Advocate  UKSC 46,  1 AC 868, 2011 SLT 106. The appeal is set down for a one day hearing before Lord Hope, Lady Hale, Lord Wilson, Lord Reed and Lord Carnwath. Leave a reply on "Case Preview: RM (AP) v The Scottish Ministers (Scotland)"